Baseball has a very unique farm and minor league system. Every MLB team, has a Triple-A team, Double-A team, High-A team, Low-A team, Short Season team, and several Rookie teams. That’s at least seven minor league teams each one of them loaded with players trying to make their dreams come true of playing in the major leagues one day. A few of those will make it, most won’t. Some are truly considered prospects, while some are just organization players filling a roster spot, who are still incredible baseball players but will probably never sniff the majors. What’s discussed a lot with a prospect is his ceiling. 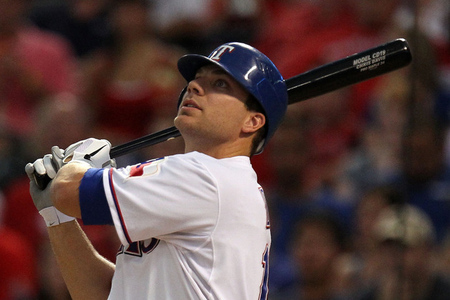 That ceiling then becomes a foregone conclusion in the mind, but when it comes to prospects reaching their ceilings, there is no such thing as a foregone conclusion. Still, the illusion of the ceiling for a prospect can be too intoxicating to withstand. The NCAA Super Regionals came to a close last weekend and the field is now set for the 2012 College World Series. Action kicks off today, Friday and it is a double elimination tournament up until the championship game which is a best of three series. This is a great opportunity for draft fans to catch a look at recent draftees on live television. The eight teams that will be playing in Omaha are Arizona, UCLA, Florida, FloridaState, Stony Brook, South Carolina, KentState, and Arkansas. There are a handful of top draft prospects scattered throughout this field of teams. This article will be a two part series and in part one I will take a look at Florida, Florida State, and Kent State. First up, we have Florida who has the most top draft prospects on their team. This is a thread where we will be adding links and other buzz we here heading toward the start of the draft. 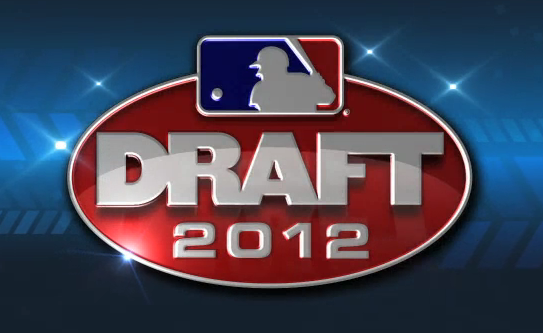 Be sure to come by and check it frequently to keep up to date with all the latest MLB draft information. According to Kevin Goldstein (via Twitter) there might be a “crazy rumor” that agent Scott Boras might be trying to push Mark Appel down to the Nationals at pick 16. –Keith Law tweets that the Royals could take Chris Stratton at #5 and Max Fried to the Orioles at #4 is increasingly likely. -You can see all of Conor Glassey’s MLB Draft Chat that he did this afternoon at Baseball America. 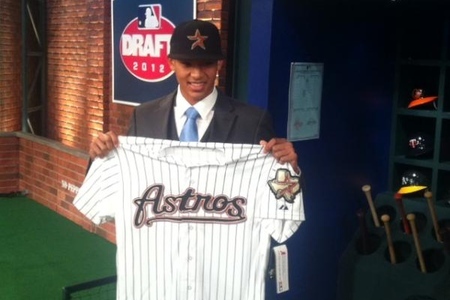 –Jim Callis updated his final mock draft to include each teams total budget. –Matt Grabusky has his final mock up for MLB Draft Guide. The MLB Draft is Monday and we are only a few days away. This is our final mock draft and we went all out for this one. Jonathan and I alternated picks as usual, me starting off with the Astros. Our other three mock drafts have been only the first round but this one we decided to do the supplemental too. Once we got going, we decided we’d keep going and do the second round too. Each pick has a report and our reasoning. I can’t wait till Monday comes and we see teams surprise everyone, going against all the mock drafts. Enjoy.